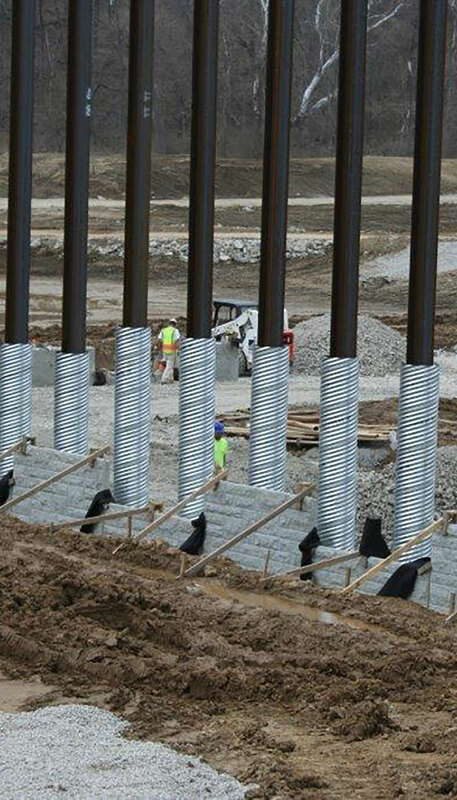 The main advantages of Mechanically Stabilized Earth Walls compared to conventional reinforced concrete walls are their ease of installation, smaller footing, reduction in below grade area, and quick construction. 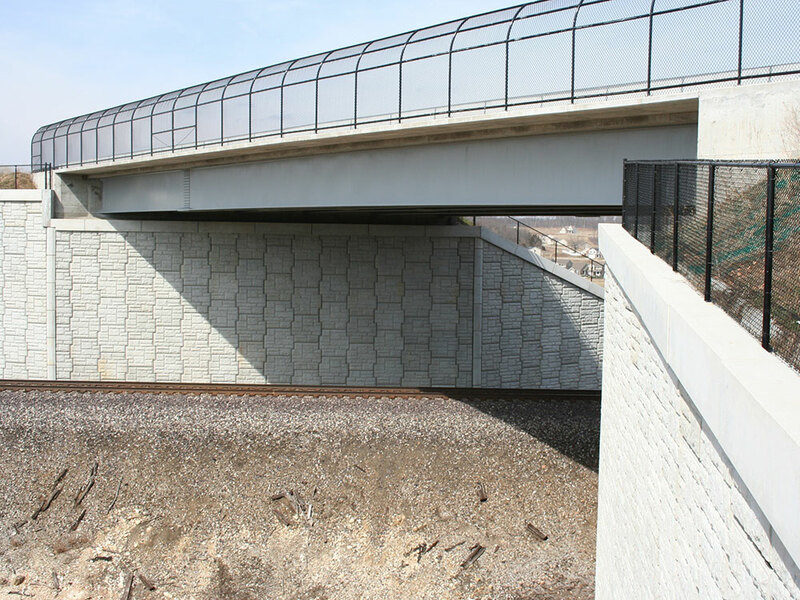 They do not require formwork (other than footings and copings) or curing and each steel strap layer is structurally sound as it is laid, reducing the need for support, scaffolding or cranes. They also do not require additional work on the facing.